For years, tiles were typically used for floor or backsplash materials. These days, designers like to count on them as practical yet beautiful accent elements. You can find them on the floors mimicking hardwood, stone, concrete or porcelain. Their texture can be the element that creates a statement within a space, or they can be just neutral and compliment the rest of the design. They are durable, easy to maintain, unique, and are offered in thousands of shapes, color, textures, and prices. From the old 16” square tile of the past you use to see in your school bathrooms, tiles have come a long way in today’s society. We love to personalize our client's projects. As interior designers, one of our favorite labors is looking for the perfect materials for the proper space. Tiles are not only for backsplashes and shower walls, but they can also be a significant element that can make a room. Take a look at some of our selections of tile styles we loved using within our some of our projects. 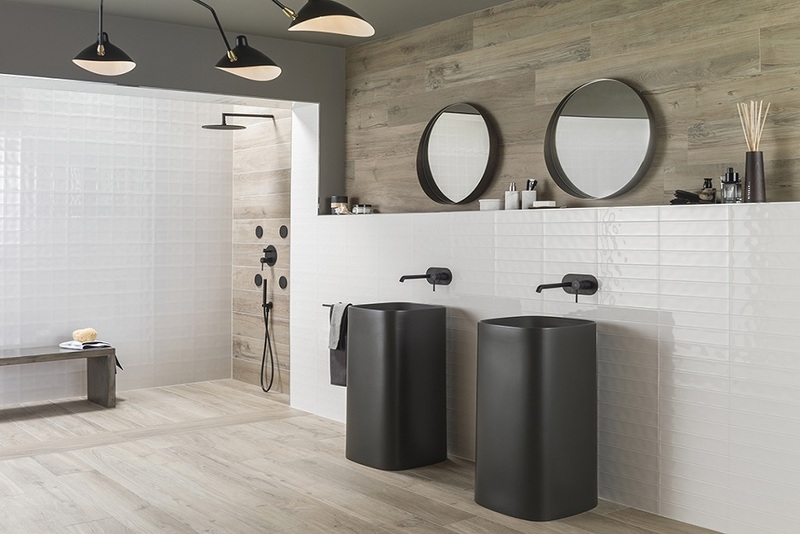 The thin tiles with a big format like Lush and Savage Dark by Porcelanosa will enrich any space with the beauty of a natural stone slab but the porcelain strength and durability. These polygonal tiles by Wow allow mixing different shapes and colors so you can create an elegant, versatile combination. We love the black and white grout combination that accentuates the clean lines of the tile shapes. Concrete is moving from being a construction material to being a decorative surface. 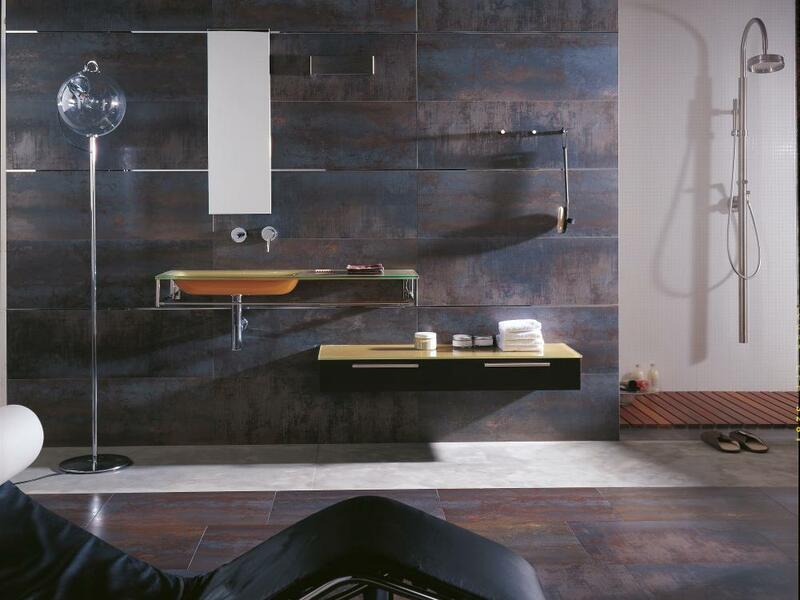 Urbatek by Porcelanosa and Plain by Refin are great examples. These beautiful hardwood floor style tiles by Refin are sophisticated and contemporary and propose a modern interpretation of high-class, antique parquet panels. The style will work in a mid-century modern home as well as on a contemporary style house. Recalling the hydraulic cement tiles is a way of mixing shapes, patterns, and color, bringing together the best of the porcelain with the old tiles style. We love Mutina Azulej and Porcelanosa Antique. Subway tiles come now in a lot of formats, textures, and colors. They can be glamorous, traditional, vintage, minimalistic, it is just a question of how you mix them. These are from Porcelanosa. Tex by Raw Edges Mutina Tiles. Inspired by textures from the world of textiles combined in rhombus shapes with different patterns. Fossil and Kasai by Refin. We love how the different hand-drawn patterns mixed creating an organic and elegant design. Tiles can have volume and add a texture to the walls. 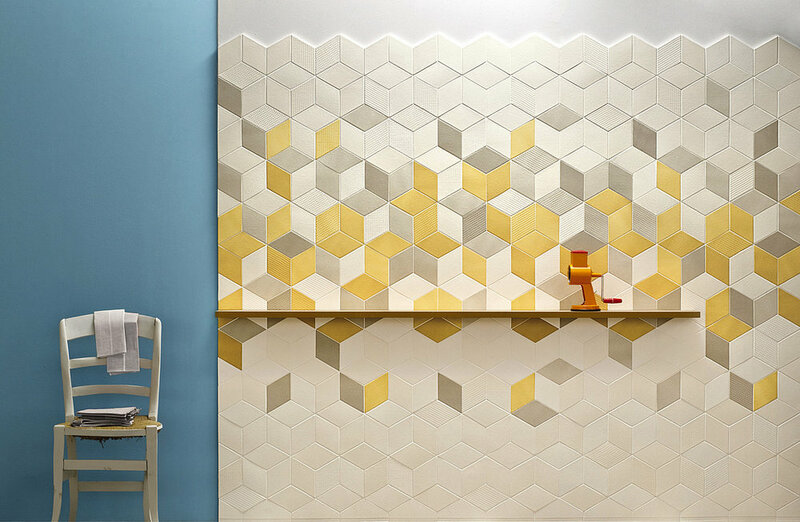 Combined with flat surfaces, the 3d tiles would add a perfect accent touch to the room. In the pictures Cue hexagonal by Wow and the subtle Duna Ash by Porcelanosa. Metallic tiles as decorative element will personalize any room with a distinctive element. 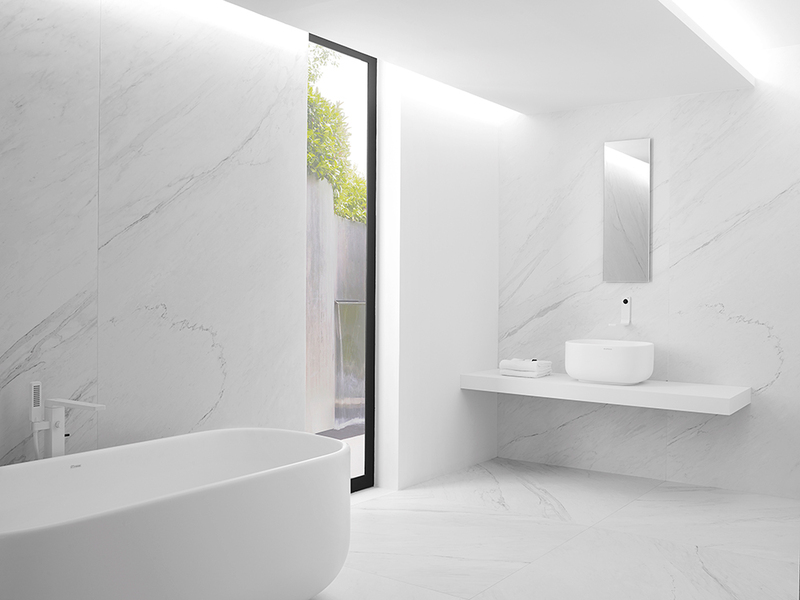 Check Urbatek Porcelanosa Xlight and 3D Cubes by Antic Colonial.